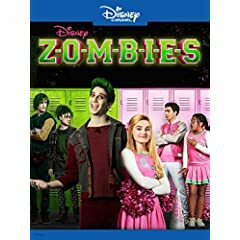 When zombies are finally allowed to enroll in Seabrook High School, the charming, charismatic zombie Zed, who is determined to play football, meets freshman Addison who dreams of being a cheerleader -- the ultimate form of status in Seabrook. Addison takes a lot of flak for befriending Zed and his zombie friends, but comes to learn that zombies and cheerleaders aren't so different after all. Zed and Addison work together to show Seabrook what they can achieve when they embrace their differences and celebrate what makes them a community. and James Godfrey as Bonzo.